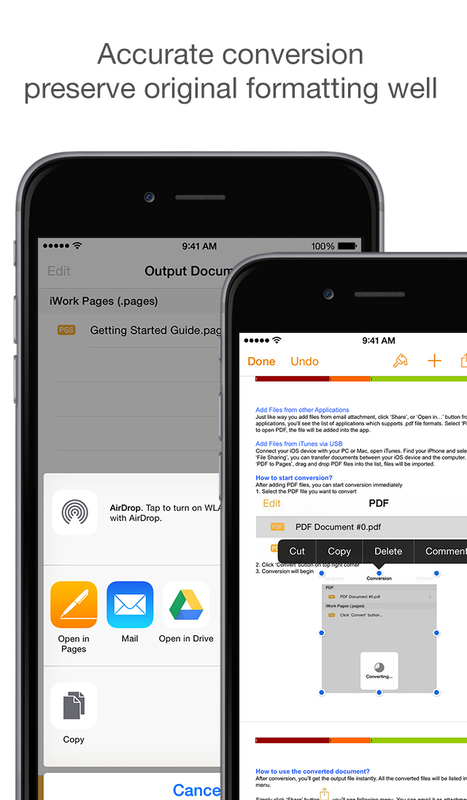 Convert PDF to Pages quickly, so you can modify or reuse PDF content easier with the Pages app. 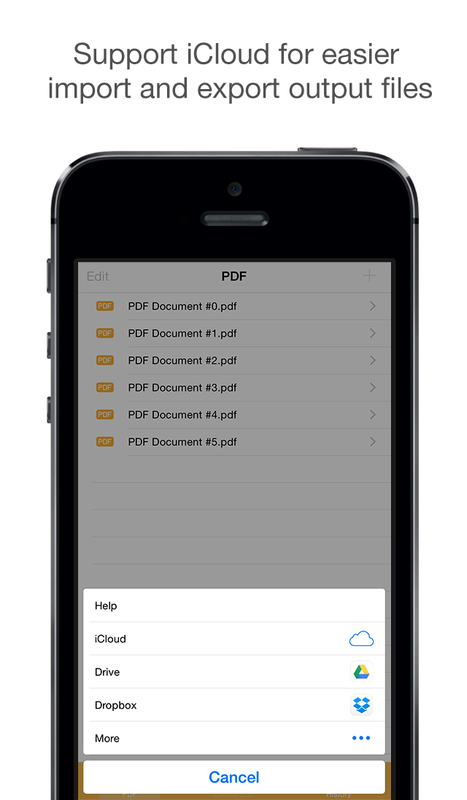 It's an easy to use PDF to Pages Converter which converts your PDF files locally on your iOS devices, and keep the original formatting accurately. You can add files from iClouds, email or other apps, convert and share the output via email, save to cloud services, or open with Pages application directly. Once installed, PDF to Pages appears in the 'Open In…' list on your device, so you can add source PDF from Mail or any other applications on your device. 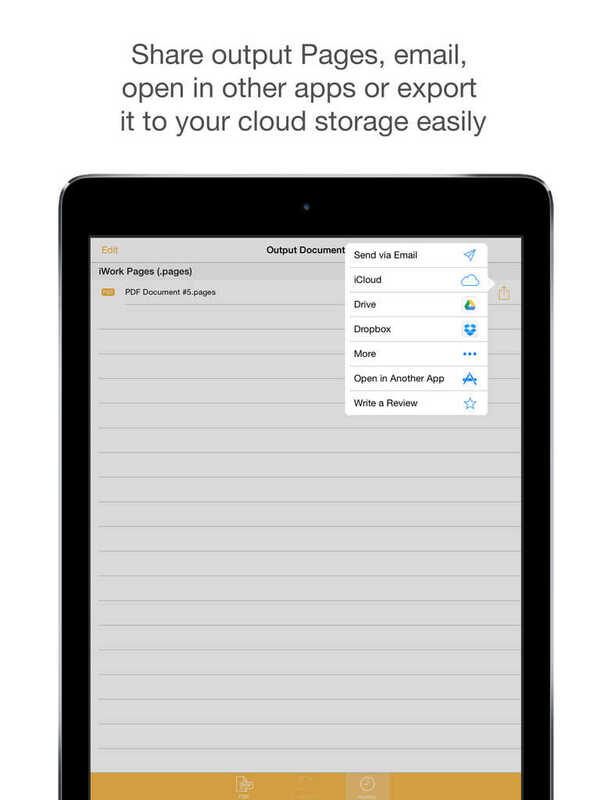 You can also add PDF files from iCloud or dropbox. 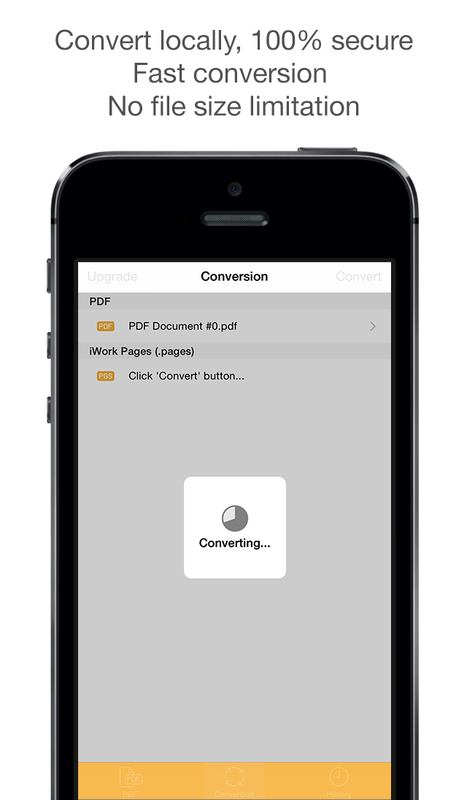 It takes only 3 steps to convert PDF: Add PDF file, and then click 'Convert' button and done. Whenever you've converted the document, you can save the output file to iCloud Drive or dropbox, or keep it in the app for future usage. You can also open the output file in other applications, such as 'Pages'; or send it as attachment via email. PDF to Pages Converter will preserve the original formatting as accurate as possible, text content, images, multi-column, tables and even the most complex formatting can be well retained. So you don’t need to spend lots of time adjusting the output pages. Conversion process is 100% secure since conversion is done locally on your iOS device. You don't even need internet connection to get the PDF to Pages conversion done, so the confidentiality of your data is safe. There's no file size limitations, you don't need to wait for hours for the delivery of the output files. 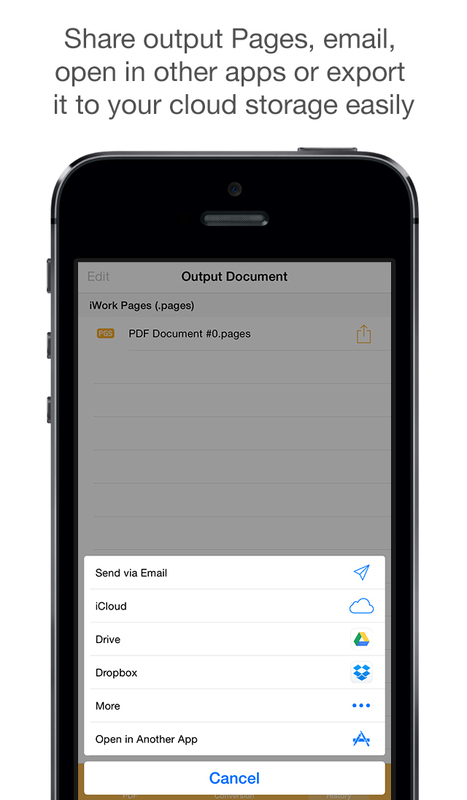 * Support iCloud Drive, you can add PDF files from the iCloud, or save the output files to iCloud Drive or other cloud services easily, it’s easy to collaborate with other apps. This version doesn't have OCR function, so scanned or image-only PDF will be converted into image in Pages file instead of editable content. We're constantly improving our apps, and we value our customers' opinions and feedback. If you want to send us feedback or have a problem with our apps, please contact us at support@lightenpdf.com before submitting a comment to the app store. We'll try our best to solve most of the problems, but we are not able to respond to comments. 3. Other minor bug fixed.